Have you all seen this gorgeous picture below from Liz Marie's blog before? 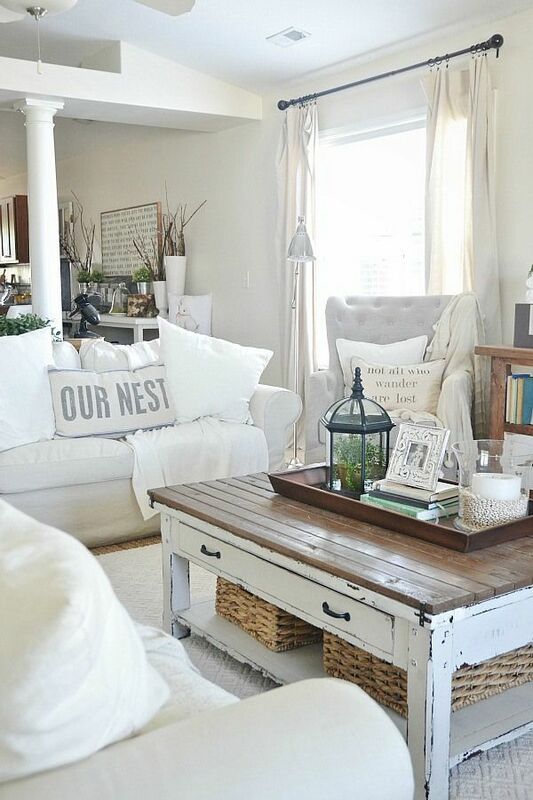 For such a long time I have been crushing on her "Our Nest" cushion. Then the other day I came across this fabulous post on Pinterest on How to Make a Sharpie Pillow. It is so unbelievably cheap and easy to do. And so I made my own cushion. And it cost me nothing! 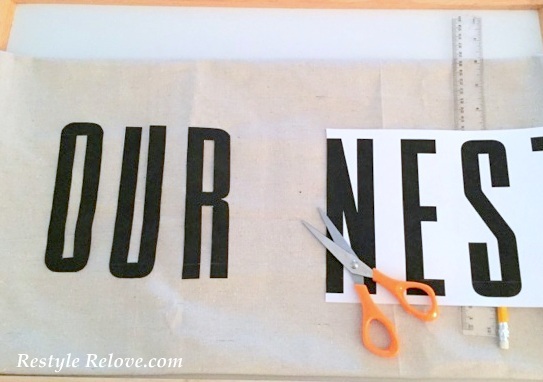 First, I made my drop cloth envelope cushion cover from drop cloth I had on hand. I already had a spare insert as well. Then I designed and printed out my lettering. After cutting out the letters and measuring out my pillow size, I centred, evenly spaced and pinned my letters to the cover. I used a pencil to trace around my letters first. Then, with a permanent marker, I traced and coloured in my letters very lightly to give a faded effect. Lastly, I used a ruler to draw up my grain sack stripes and traced and coloured them also with my permanent marker. 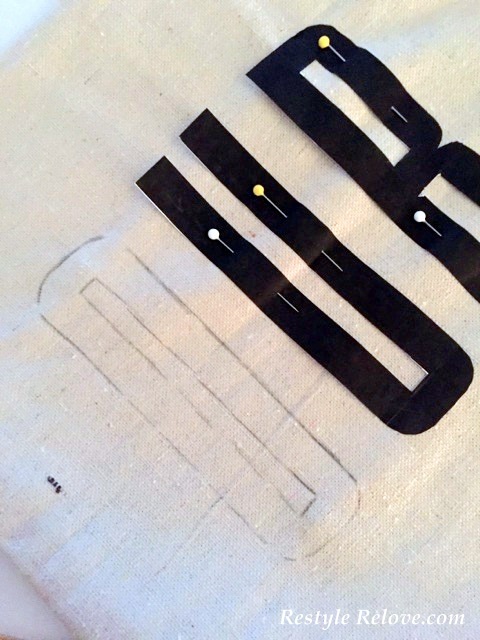 To help the marker set I gave my cover a once over with the iron and it was ready to display. And I love, love, love it. I finally have my own Liz Marie style cushion! I absolutely love what you've done!!!! 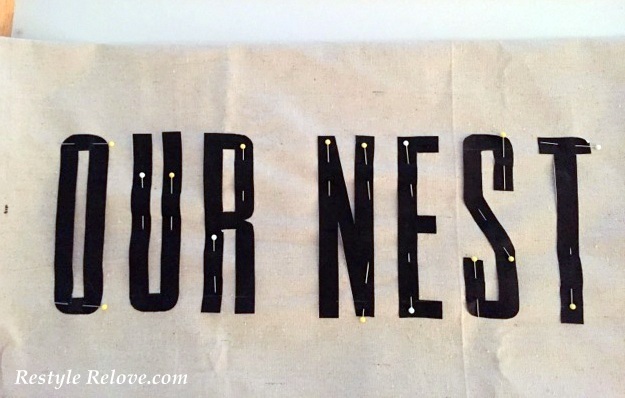 I have one of the "Our Nest" pillows, but what I'd like to know is, did you make the numeric pillows? Did you use the same process? Please let me know.